I’ve seen these in person and admit that they’re pretty eye catching. I’m interesting in buying some of the extra (extra!) long charging cables they use to power the display phones on the poles myself. 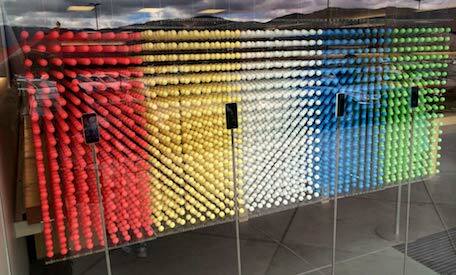 Apple Stores create beautiful iPhone 5c-themed window display | TUAW – The Unofficial Apple Weblog.